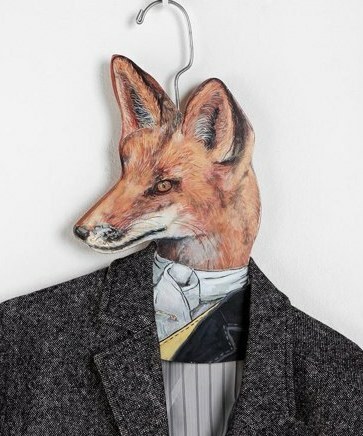 Give dad a gift he'll never expect with these funny Animal Clothes Hangers this Father's Day. Everyone will be laughing! Make it look like a bulldog is wearing his overcoat, or a fox is wearing his best suit, or even a black lab wearing his favorite shirt. 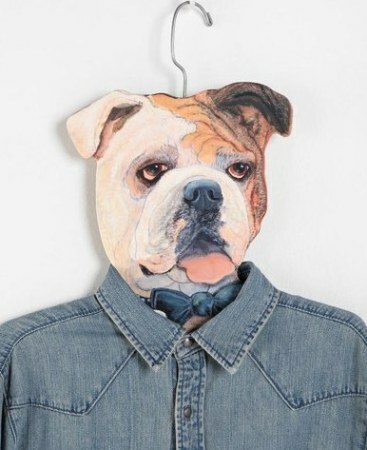 Bulldog animal clothes hanger is tail-wagging fun! Even the man who has everything probably doesn't have this yet. This sturdy cardboard hanger with painted head and metal hook will bring a smile every time the closet is opened. Comes in bulldog, black lab, and fox. Let this wily fox keep an eye on your best suit!